Robson Valley Region is excited to announce the launch of our new videos that capture and celebrate the opportunities, lifestyle and adventure in our region! 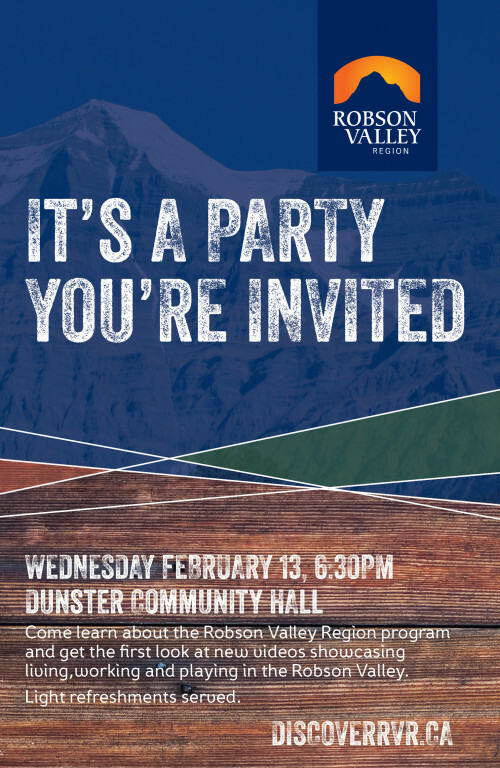 Please join us at our launch party on Wednesday, February 13th at 6:30pm at the Dunster Community Hall! This will be a public event – Open for all to come and have a sneak peek of these exciting videos before they roll out on our website and social media this Spring! Feel free to spread the word! We hope to see you there!